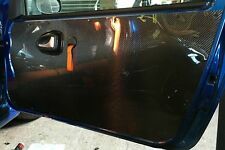 Peugeot 306 cabriolet 2000 front door cards and rear panels. Condition is very good. Delivery possible. Matching seats also available. To fit: Peugeot 205 GTI Models. if you dont have an old clip to compare to the pic, phone a dealer and ask if it will be compatible for your car, the Peugeot part number for this type of clip is 6996.45. 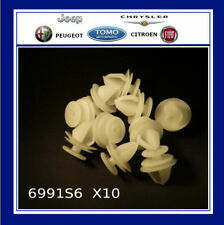 Peugeot Part Number: 6991S6. Fits The Following Citroen Vehicles. Peugeot Vehicles. PEUGEOT 206 GTi. 1mm Carbon Fibre / Fiber. 1 x Front Door Card Panel Lightweight. 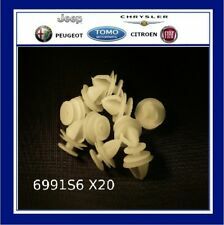 Peugeot Part Number: 6991S6. Fits The Following Citroen Vehicles. Peugeot Vehicles. New Genuine. PEUGEOT 205 GTI. 1mm Carbon Fibre / Fiber. 1 x Front Door Card Panel Lightweight. Door Cards can be supplied with Full Fitting Kit and. PEUGEOT 206 Gti. High Gloss Carbon Effect ABS - Gloss Black ABS - Aluminium - Matt Black ABS - 1mm Carbon. 2 x Front Door Cards Panels. Door Cards can be supplied with Full Fitting Kit and. See below. PEUGEOT 205 GTI. Pictures show Door Card with Pull Strap Door Closer, also available with Standard Door Handle. High Gloss Carbon Effect - Gloss Black - Aluminium - Matt Black Door Cards. PEUGEOT 205 GTI. Carbon Effect or Gloss Black. 1 x Front Door Card Panel Lightweight. See below. PEUGEOT 407 Door Panel. 2006 PEUGEOT 407 which we are dismantling. 407 2004 -2012 Front Leather Left. The Part imaged and described is th eactual part you will recieve. Style Coupe. Colour and code Silver : EZRC. PEUGEOT 407 Door Panel. 2006 PEUGEOT 407 which we are dismantling. 407 2004 -2012 Front Leather Right. The Part imaged and described is th eactual part you will recieve. Style Coupe. Colour and code Silver : EZRC. PEUGEOT 205 GTI. Lightweight Matt Black ABS. 1mm Carbon Fibre / Fiber - Carbon Effect ABS - Gloss Black ABS. See below. 1 x Front Door Card Panel. Door Cards can be supplied with Full Fitting Kit and. REMOVED FROM A 2015 2008 1.6 E-HDI. MIDLAND CAR BREAKERS LTD. Images are for guidance only. PEUGEOT 205 GTI. 1.2mm Aluminium - Front Door Card. 1mm Carbon Fibre / Fiber - Carbon Effect ABS - Gloss Black ABS. 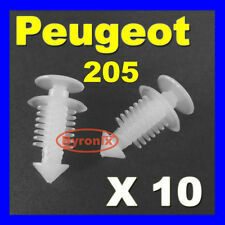 PEUGEOT PART NUMBER: 9341L7. PEUGEOT 206 5 DOOR FRONT HINGED SIDE DOOR TRIM, LEFT. GENUINE, NEVER USED. REAL PHOTO. FOR YEARS: 2008, 2009, 2010, 2011, 2012, 2013, 2014, 2015 (2012). Removed from a 2012 PEUGEOT PARTNER 1560cc. Warranties cover Parts Only and only apply if parts are fitted by a recognised independent specialist or approved dealer. 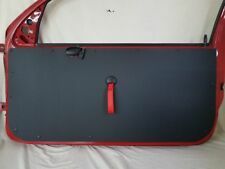 Item Specifics:2013-2018 - MK1 - 5 DOOR - ESTATE - RIGHT REAR - DOOR PANEL. 2008 2013 -2018 Mk1 Right Rear. Part:Door Panel. This Door Panel was removed from a2014 car and has been fully inspected. 1 x PEUGEOT 206. Carbon Effect, Gloss Black or Aluminium. Carbon Effect, Gloss Black, Aluminium & Ultra Lightweight. Front Door Card. Good used condition door cards in black with leather inserts. 1 x driver side front. Door cards in great condition, comes with control switch on all. Rear door cards with blinds. Great bargain. KTH C - Gris Thorium Grey. Peugeot 207 (2012). Genuine Front Driver OS Door Card. 3 Door Hatchback. Manufacturer Part Number - 96502520ZD. BVM MA5 / N. 5-Speed Manual. INJECTION TU3AE5. 2010 PEUGEOT 3008. 1.6 16V 1598cc TURBO PETROL. DOOR CARD REAR PASSENGER SIDE. OPENING HOURS 5 DOOR MPV. GOOD QUALITY SECOND HAND CAR PARTS. I'M TRYING TO GIVE AS MUCH INFORMATION AS I CAN. UK MAIN LAND ONLY ! YOU WILL FIND MORE INFORMATION ABOVE. We are open Mon.-Fri 9:00am - 5:00pm. Sat 9:00am - 2:00pm. Used Condition! Have minor mark, dents, slights scratch. 2011 MK1 Peugeot RCZ PH1 FRONT INNER DOOR PANEL RH Driver Side Does not come in with handle or window switches This comes as imaged. There are some age related marks and scratches (see images) Please make sure part is correct before purchasing. We try to describe our parts as honestly as we can, however please also see our images in case we have missed anything. Any questions please ask. International buyers please contact us for price and availability of postage to your location. Removed from below vehicle -. PART: 2017 Peugeot 308 MK2 5 Door Hatchback LH NS Passenger Side Rear Door Card Panel PART NUMBER: 7286274 ADDITIONAL COMMENTS: SEE PICTURES WARRANTY (PARTS ONLY): 3 MONTHS – FREE 6 MONTHS – AN ADDITIONAL 10% OF BUY IT NOW PRICE 12 MONTHS – AN ADDITIONAL 20% OF BUY IT NOW PRICE NO WARRANTY INCLUDED ON CORE UNITS (ENGINES & GEARBOXES) WE DO NOT OFFER EXTENDED WARRANTIES ON PARTS THAT HAVE BEEN ACCEPTED AS A BEST OFFER FAILURE TO SUPPLY ANY EXCHANGE ENGINES OR GEARBOXES WILL INVALIDATE YOUR WARRANTY WE DO NOT COVER ANY LABOUR COSTS EXCHANGES: ENGINES, GEARBOXES & DPFs/CATs ARE SOLD ON AN EXCHANGE BASIS – PLEASE MESSAGE US THROUGH EBAY AND WE WILL COLLECT THE CORE UNIT FREE OF CHARGE RETURNS: ALL RETURNS MUST BE PROCESSED THROUGH EBAY IF YOU WOULD LIKE TO REQUEST A RETURN: 1. PEUGEOT 206 GTi. Lightweight Matt Black ABS. 1mm Carbon Fibre / Fiber - Carbon Effect ABS - Gloss Black ABS. See below. 1994 MK1 PEUGEOT 106 3 DOOR FRONT PASSENGER LEFT HAND DOOR POCKET DARK GREY. Used condition. No cracks. Can be used on models with or without electric windows (just remove the switch blanking panel). Peugeot 207 (2012). Genuine Front Passenger NS Door Card. 3 Door Hatchback. Manufacturer Part Number - Does Not Apply. KTH C - Gris Thorium Grey. BVM MA5 / N. 5-Speed Manual. INJECTION TU3AE5. Peugeot Part Number: 7467. Door Card / Panel. 998cc PETROL. 2007 PEUGEOT 107. UK MAIN LAND ONLY ! FRONT PASSENGER SIDE. OPENING HOURS 3 DOOR HATCHBACK. GOOD QUALITY SECOND HAND CAR PARTS. I'M TRYING TO GIVE AS MUCH INFORMATION AS I CAN. 2010 PEUGEOT 3008. 1.6 16V 1598cc TURBO PETROL. DOOR CARD REAR DRIVER SIDE. OPENING HOURS 5 DOOR MPV. GOOD QUALITY SECOND HAND CAR PARTS. I'M TRYING TO GIVE AS MUCH INFORMATION AS I CAN. UK MAIN LAND ONLY ! Citroen C8 & Peugeot 807. Right rear sliding door trim panel. New and unused as per images. Peugeot 2008. Body Colour Colour Code 5 Door Hatchback. Body Type Body Panels. Your warranty only covers the cost of the part itself and not any labour costs incurred in fitting / removing the part.more. Item Specifics:2013 - 2017 - MK2 - 5 DOOR - ESTATE - RIGHT FRONT - DOOR PANEL. 308 2013 -2017 Mk2 (T9) Front Right. Part:Door Panel. This Door Panel was removed from a2015 car and has been fully inspected. Item Specifics:2006-2013 - MK1 - 4 DOOR - HATCHBACK - RIGHT FRONT - DOOR PANEL - PART NO 96502524ZD. Part:Door Panel. This Door Panel was removed from a2010 car and has been fully inspected. GENUINE PEUGEOT RCZ DRIVERS FRONT DOOR CARD, IN VERY GOOD USED CONDITION AND REMOVED FROM A 2012 RCZ GT. Peugeot 106 MK1 (1991 - 1996) Driver`s door / Front Right door card, for 5 door models. In very good condition. GENUINE PEUGEOT RCZ PASSENGERS FRONT DOOR CARD, IN VERY GOOD USED CONDITION AND REMOVED FROM A 2012 RCZ GT.